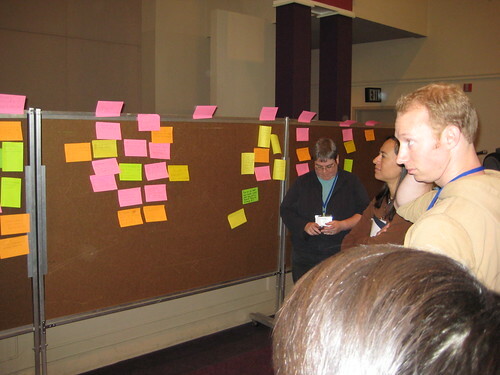 Group clustering exercise, namely AIRSET not belong to calendering or tools of project management? 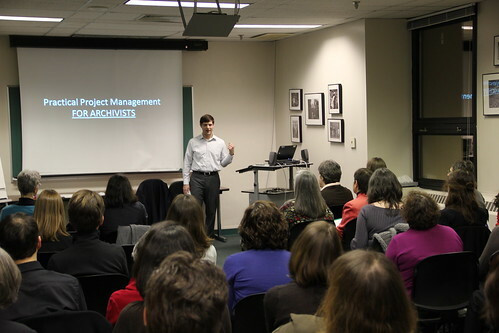 by archivistsrt On January 25, Mitch Brodsky, treasurer of the ART and the project manager of digital archival records to the New York Philharmonic, presented a workshop on the basics of project management for archivists. “After a survey that identified the need for a management training project in the archival profession, Mr. Brodsky has provided concrete examples of digitization projects of management experience and sharing tools open -source project management that are accessible to all budgets and backgrounds. Special thanks to the National Archives in New York City for agreeing to host the workshop. Photo courtesy of Christopher Zarr National Archives. This entry was posted on June 3, 2012	and is filed under PM Articles. Written by: admin. You can follow any responses to this entry through the RSS 2.0 feed. You can leave a response, or trackback from your own site.